Caddo-Bossier is educating the workforce of the future with six 4-year universities offering over 68 graduate degree programs and four 2-year universities for technical training. 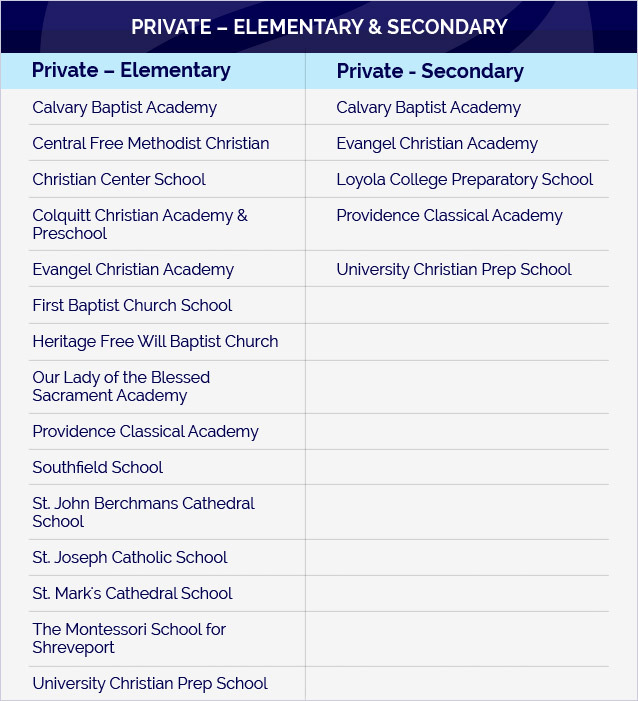 Both Caddo & Bossier parishes were awarded the 2008 What Parents Want to Know Award from SchoolMatch, the largest school selection consulting firm in the country. In addition to local schools and universities, Barksdale Air Force Base runs a Transition Assistance Program that helps retiring Air Men transition their skills from the military into the civilian workforce. After receiving the invaluable lessons taught at the vocational schools in our area, many of the graduates will stay in this community to add to the workforce. Religious, independent or Montessori – Caddo-Bossier is home to a number of private elementary and secondary schools.